Over the past few months, the Town of Upper Marlboro has received several complaints regarding feral cats within Town limits. While the Prince George’s County Animal Management Division is responsible for Animal Control within Town limits, below are some steps that can be taken by residents to assist in controlling and protecting the feral cat community within Town. Cats roam outside in most neighborhoods in the United States. Some are domesticated pets whose owners let (or put) them outside, but many are community cats, who may be feral or one-time pets who are now stray, lost or abandoned. The more we understand outdoor cats and the complicated issues related to them, the more effectively we can help them, reduce cat overpopulation and protect wildlife. 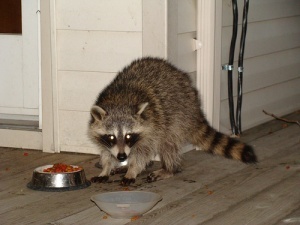 County Code prohibits the feeding of feral cats as it attracts other wildlife prone to carry rabies (raccoons, skunks, bats, foxes, and coyotes). Where do community/feral cats live? 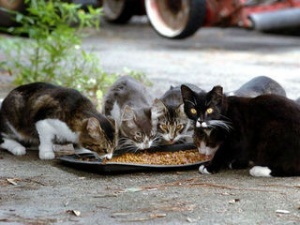 Community & feral cats typically live in a colony—a group of related cats. The colony occupies and defends a specific territory where food (a restaurant dumpster or a person who feeds them) and shelter (beneath a porch, in an abandoned building, etc.) are available. Although feral cats may be seen by people who feed them, strangers may not realize that feral cats are living nearby because they rarely see them. Stray cats tend to be much more visible, may vocalize and may approach people in search of food or shelter. Stray cats may join a colony or defend a territory of their own. 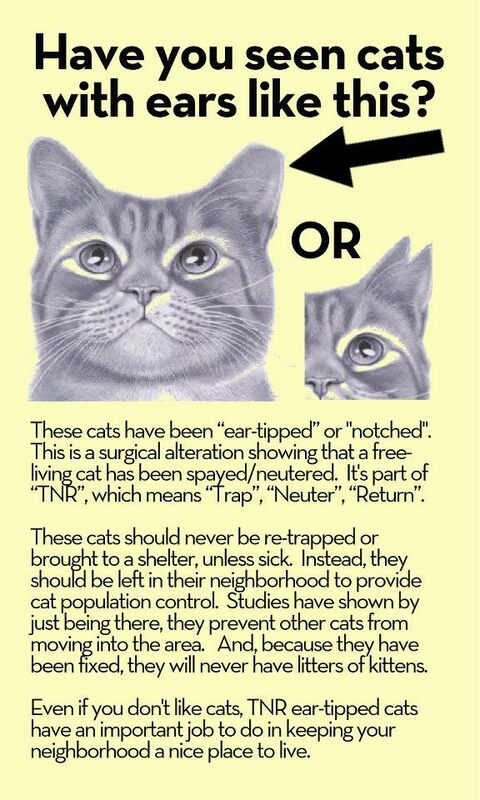 Town residents are encouraged to participate in a TNR program, especially if they provide for feral cats.